Positively impacting our children, school, and community. The faculty and staff of St. Mary's appreciates your willingness to serve our school. As the primary educator of your child, it is important that you are involved in your child's school. Volunteers enrich our community by sharing their time, knowledge, and skills with our students and making a wide range of programs possible. This page is intended to make you aware of some of the volunteer opportunities that exist, guide you through the process of becoming a volunteer, and answer questions you may have about your role and responsibilities. Thank you for sharing your gifts and talents with our students. There are numerous opportunities throughout the year to be a volunteer at St. Mary of the Assumption School. Many teachers have classroom volunteer sign-up forms available during the Drop In Day at the beginning of the year. Many organizations recruit volunteers during the ministry fair at Open House in February. Additional volunteer opportunities are shared via the web page, Facebook page, and fliers sent home from school. All volunteers who have contact with students undergo thorough screening, including background checks through the Ohio Bureau of Criminal Investigation & Identification (BCI&I). For complete information on screening policies, see the revised Policy for the Safety of Children in Matters of Sexual Abuse, section 1.2 (p. 3). Anyone who volunteers in the school or with a parish program involving children (i.e. Scouts, CYO sports, Science Olympiad, etc.) must be VIRTUS trained, fingerprinted and have a clean background check. Please contact the school office at 440-255-9781 to sign up for a VIRTUS training session. 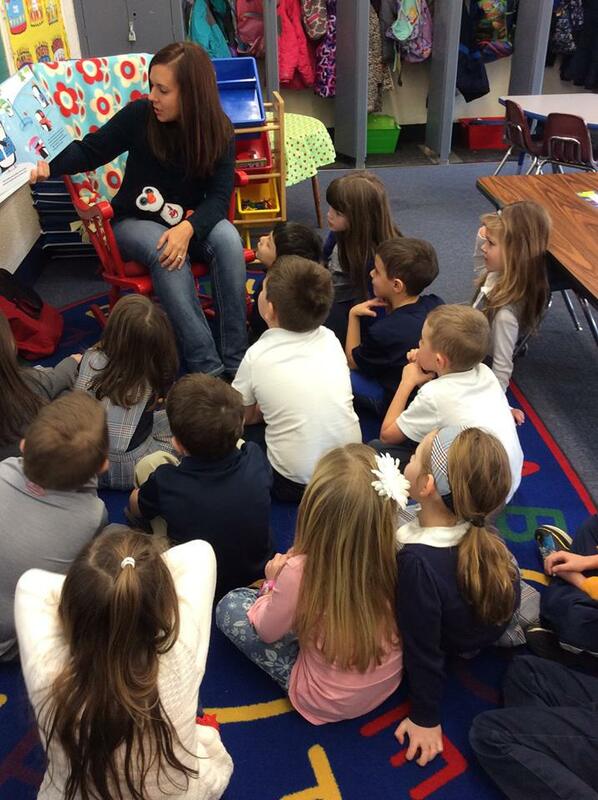 A parent reader shares stories with a kindergarten class. The teachers and staff will make every effort necessary to prepare the volunteer to perform the tasks asked of them. The description of the job activity should be fully understood by the volunteer before the activity is undertaken. If instruction or assistance is needed, the volunteer shall ask the teacher, staff member, or administration for clarification. Please dress appropriately as a positive role model for the students. Be positive when dealing with all students. Keep your sense of humor. Students respond to you when you smile. Notify teachers, asst. principal, or principal of any problems. If you suspect or see any bullying-type behavior, please report it to the principal or asst. principal. Students have been instructed to report bullying to adults. Please remember that all matters that occur in school are CONFIDENTIAL. The volunteer will respect the privacy of the students, faculty, staff, and clergy. What happens in school or on school property stays at the school! School business is not to be discussed outside the school or with other volunteers. A volunteer shall not discuss a child’s progress with anyone or inquire into family backgrounds. Volunteers shall demonstrate a friendly, tactful, helpful and fair attitude to all students. All volunteers and parents are asked to respect the right of others by not posting pictures of our students on personal social media sites. Each St. Mary family is required to complete 15 hours of service per year. 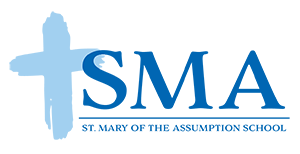 Please sign into your RenWeb account if you would like to see the status of your hours. 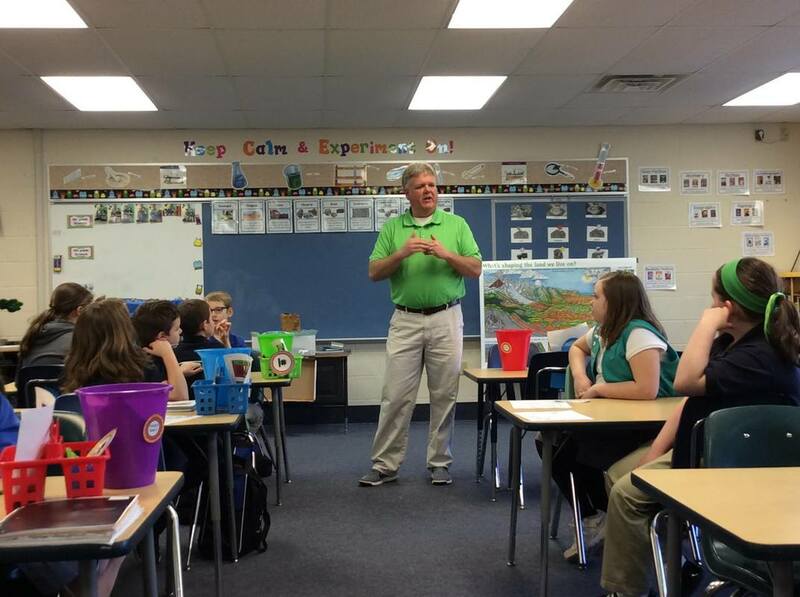 An SMA parent speaks to 4th graders about his role as a Geologist for the Ohio EPA.